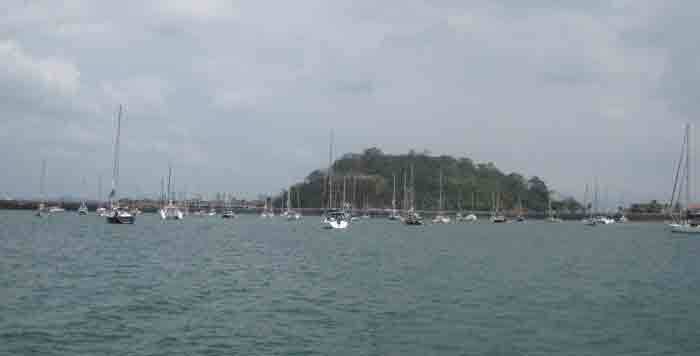 We are now at La Playita anchorage, between the Balboa Yacht Club and the Flamenco Marina. There is no more room at either of these marinas so we are anchored chock-a-block with the other rally boats as well as with all the others who have transitted and are reprovisioning AND all those still waiting to transit to the Caribbean. Huge ships pass by en route to and from the canal (24 hours a day). There are some excellent shops for provisioning and we have made a sizeable dent in our wallet over the past week. This is the last major shopping trip before Australia in the summertime. Everyone is taking advantage of the services Panama City has to offer. A few of the yachts anchored in front of us. On Monday we all enjoyed an outing to Gamboa Resort on Gatun Lake. 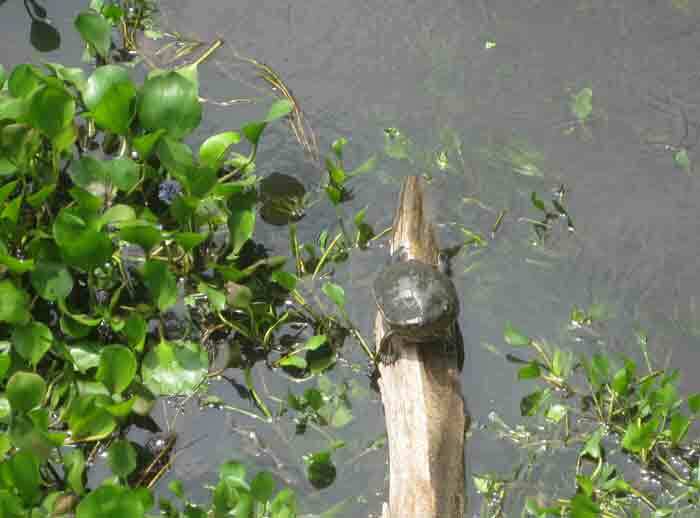 It was so nice to get out and walk for a bit as well as to enjoy a delicious buffet and watch out for crocodiles. What a welcome relief from shopping! 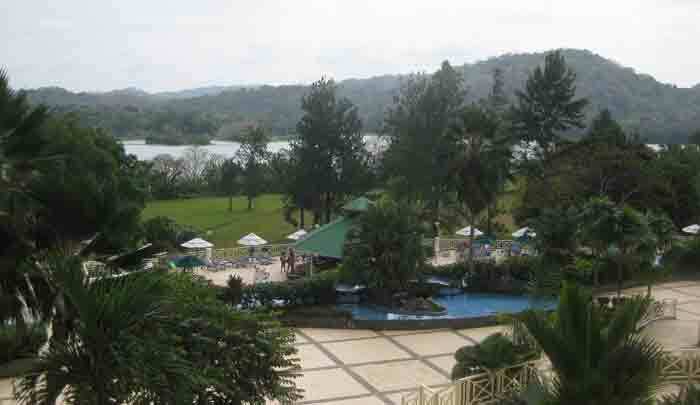 The pool area of Gamboa Resort. Unfortunately, it was only for guests staying at the resort. Making new friends at the restaurant while refreshing ourselves and croc-spotting. 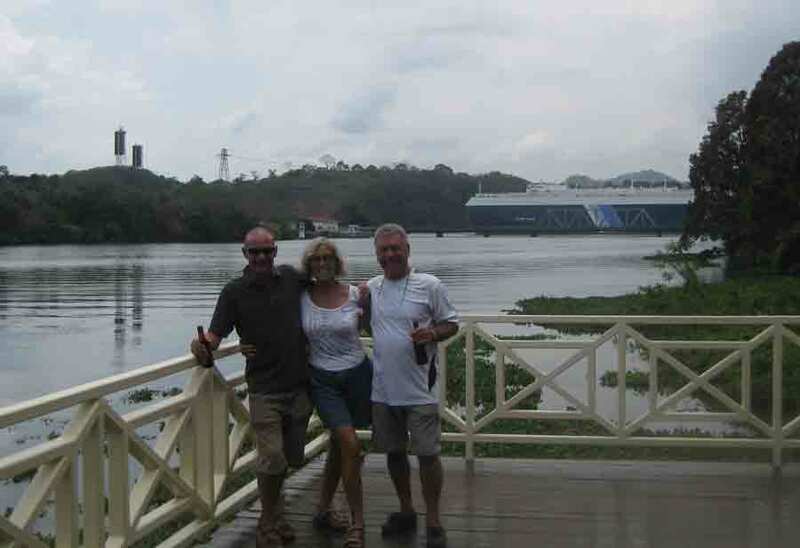 The ship in the background is passing through Gatun Lake en route to the Miraflores Locks. Turtles and what the Aussies call "Jesus Birds" because they can virtually walk on water with their long digits abound all around the restaurant. We watched a large crocodile, which dined on one bird and a fish (hopefully a piranha). 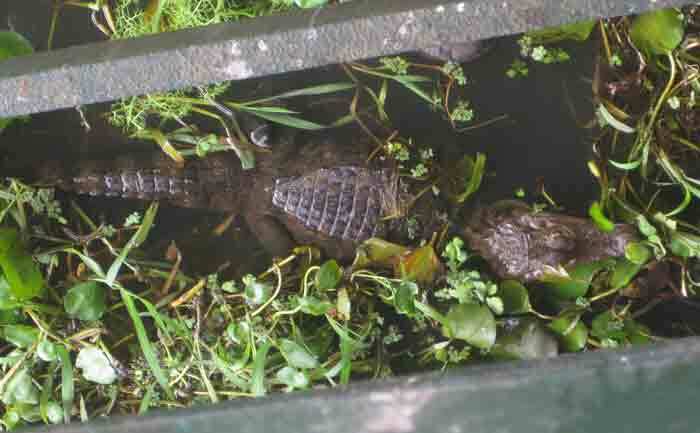 This smaller crocodile was much closer and easier to photograph. I have not been tempted to swim anywhere around here! On Wednesday we all got together for dinner at Pencas Restaurant and had a lovely social time. Yesterday was our Galapagos briefing and today we are checking into the country as well as checking out. We have been long enough in a city and are ready to find an anchorage in Las Perlas where we can SWIM, clean the bottom of the boat, wash some bed linens in cleaner water (although I DID manage it here) and just enjoy the boating- not the shopping- experience. On or about the 2nd of March we will be seeting sail for the Galapagos- definitely something I want to check off my "bucket list"! I don't know if I will be able to send photos on the satellite phone in order to keep the blog updated. I WILL be sending the text reports of our journey and can replace them with the illustrated version when we reach another internet cafe. Apparently the rally will be offering a daily position report on all the yachts so you will always know where we are. When I find the email address for this service, I will pass on the information to you.